I can confirm Bromley is lovely and sunny and the town centre is a buzz ready for the big match this afternoon! Looking forward to what is my ‘home’ game these days - a nice little 20 min walk from my house. It will be the first game I’ve seen this season - here’s hoping we put up a better showing than we did here last year! Don't worry the master tactician will have everything under control. A side who have had a few shockers lately by their accounts. 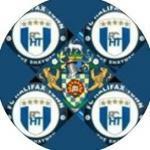 Whether we get a result here or not should do the talking for/against recent rumours about the current FCHT camp. Agreed, currently in The Cow and Pig on the High Street. Your usual Saturday night ! I applaud such virility at your age, chadders, but really? Cow and Pig is a lovely place - food is fantastic! Good choice sir. Bromley with 4 important players out and now their first choice keeper has been injured in the warm up. No excuses today, 3 points. 1 down to a pen Johnson tipped onto the post but they smashed in from the rebound. Pity, we’d started well. No penalty on Odelusi, Bromley given what sounds by comms a soft one. Niall Maher the latest Town player to be got by the injury curse. So why put the new striker on the bench when we only have him for a month,Shaytrev will love this Morgan scores for Curzon and Kingsley James scores for Guisley. Why would I love the fact that James has scored? Bring back Morgan, the present bunch are not fit to lace his boots. Playing ok, but not testing their keeper, who is a reserve, called in at the last minute as their No 1 has an eye infection. Sellers having a good game. Sellers is far better than Scarz.Much more mobile. Wonder if he will make any changes at half time? would be unfair to dig them out. Only positive has been the performance from Hanson. And he’s not even ours!